The Garnet 709-RVC-PM SeeLevel II Tank Monitoring System with Alarm is designed for accurate level measurement of motorhomes and trailers with three holding tanks. 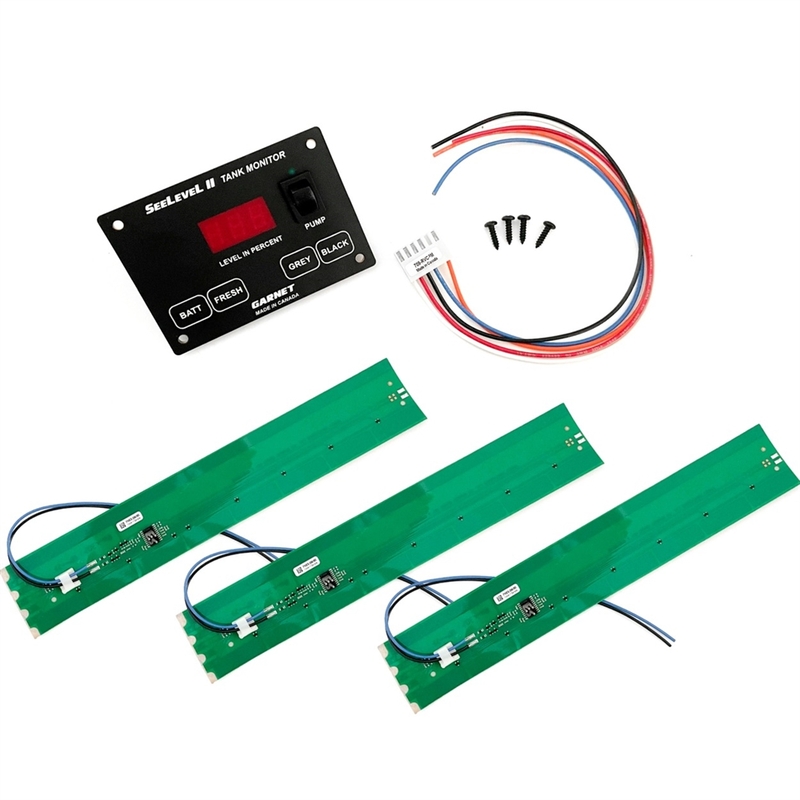 This system monitors battery voltage, fresh, grey and black water levels. The level in percent is shown on a three digit LED display. This model includes an RV-C network interface and a common alarm output which is programmable for level and polarity and also includes a momentary pump switch. Pump switch:(If equipped) The pump switch is rated for a maximum of 7.5 amps. The use of a relay is required if more than 7.5 amps is needed. We recommend using a 7.5 amp fuse inline with the switch. Garnet 710ES SeeLevel II Sensor Board - 12" Garnet 710JS Seelevel II Junior Sensor Board - 6"